Week In The Life 2011 is quickly approaching and I'm starting to get really, really excited. I hope you're considering joining me from July 25th through July 31st - it's so much more fun and motivating when there's a bunch of people all doing it at the same time. 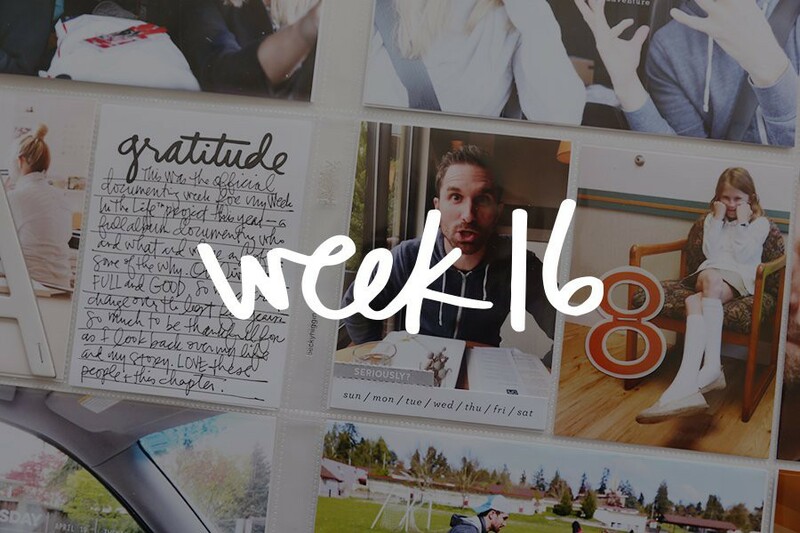 This year I'll be including link widgets at the end of each of my daily posts so we can all share our photos and words and encourage each other throughout the week. One of the big things I do to get ready each year is map out my design plan. I like to know in advance where I'm going with all the content I'm collecting, even though I won't be doing any of this part until the week after I document our days. Some people like to do it all at once (the documenting and the design) but I've found that I like to focus on the documenting (taking the photos and writing down the stories) during the seven-days and then focus on bringing it all together the next week. There's so many different ways this project can come together. Any of the different foundation plans I've used the last couple of years would work great. If you've been following along and participating with me in this project in the past you'll see lots of things that are the same: size, divided page protector, enlarged photo on the first page for each day, etc. When I find something I like I stick with it - or tweak it just a bit as you'll see with my design for 2011. This year my focus, besides documenting our everyday stories and routines, is thinking about numbers and time. 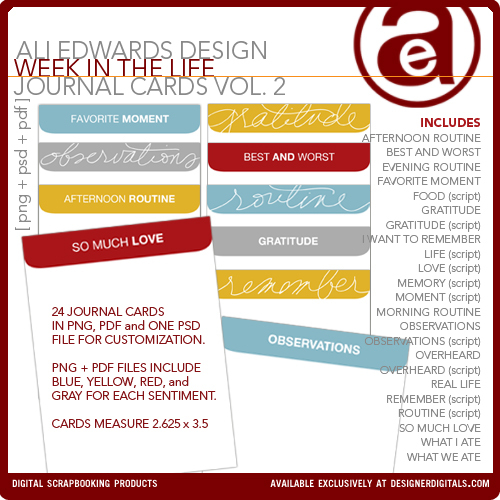 You'll see that reflected in the products I'm choosing to work with and in my journaling. There are so many numbers involved in our daily lives - the number of times we do something, days, minutes, time, etc. I like having a little something that's underlying my documentation this year. 3-RING ALBUM | We Are Memory Keepers Vanilla (lots of additional colors are available through Scrapbook.com). I'll be doing this project in 8.5x11. 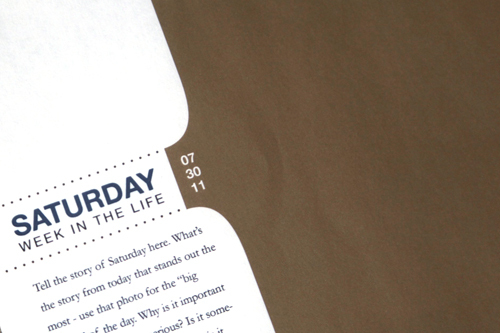 EXTRA SET OF PAGE PROTECTORS | We Are Memory Keepers 8.5x11 - you'll need an extra set if you want a spread for each day. 8.5x11 9-POCKET DIVIDED PAGE PROTECTORS | We Are Memory Keepers 9-pocket or other baseball card sized page protectors - this goes in the middle of the spread for each day. 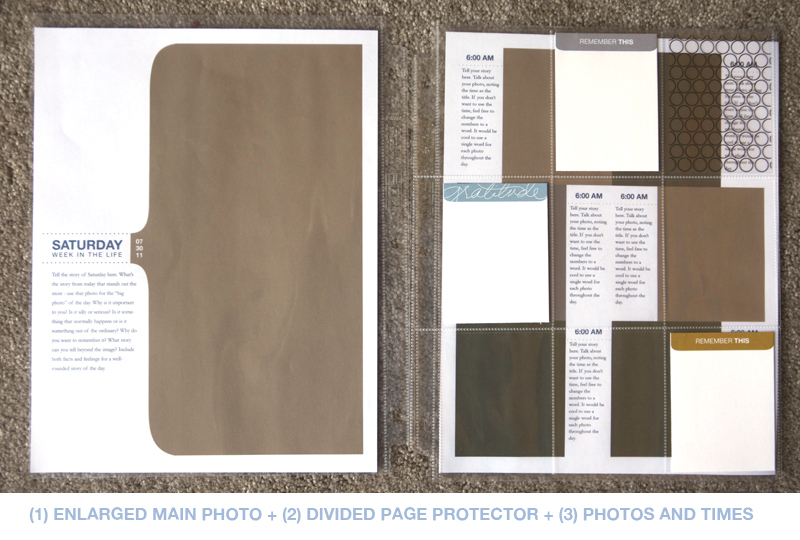 LAYERED TEMPLATES | This is basically the guide I'll be using to create my spreads each day. 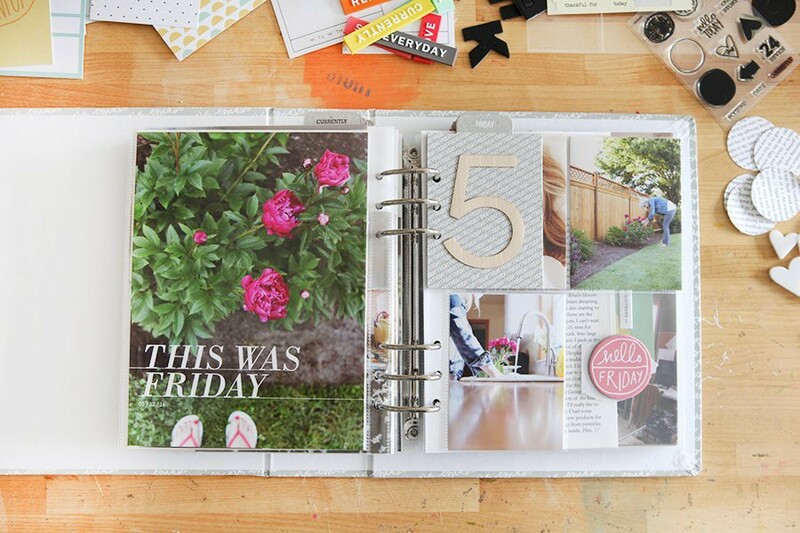 Available at Designer Digitals in both 8.5x11 and 12x12 sizes (12x12 is coming soon), this package includes an intro page, seven daily pages (labeled Monday through Sunday) and seven photo collage with journaling pages. You can see where focusing on the time of day becomes reality - I'll be using that as a design element as well as something to focus on with my journaling. I'm not sure yet whether I'll be printing these pages here at home or uploading to a printing service. Right now I think I'll be using these layered templates, printing them, and then slipping them into an album (I won't be making a photo book because I want to use the pocket pages for each day). I might also do something similar to what I did with my layered templates for December Daily last year where I printed them on photo paper to get the photos and cardstock to get the journaling and title portions. You can read more about that approach here (and I'll post more about that if I decided to go that route in the coming weeks). JOURNAL CARDS | Available at Designer Digitals - the set includes PNG cards and PDF printable files with crop marks. The package includes four PDF's: red, yellow, blue, and gray. 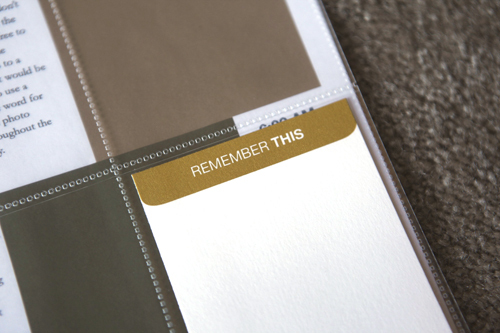 These will go inside the 9-pocket divided page protectors each day. I've also included a PSD file if you'd like to customize them further. I'm planning to mix up the colors in my album (rather than doing all one or the other). Lots of options. I'll be adding photos and maybe some pattern papers - all that really depends on the number of stories and photos I collect. 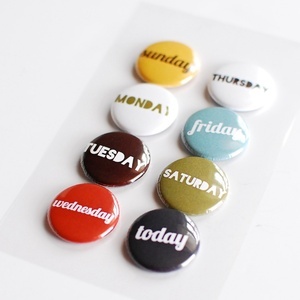 ORMOLU DAY OF THE WEEK EMBELLISHMENTS | 2-Day Hooray Days of the Week Button Embellishments - when you purchase these buttons you also get a coordinating set of tags to print. These are going to be placed on top of a piece of Hambly patterned transparencies. FONT | Alte Haas Grotesk. This is the font I used for my titles and times in the layered template set. It's a free download available here. And so far, that's it. My focus, as usual, will be on the words and the photos and getting all those wonderful, routine everyday life details documented. It's totally possible that I'll grab other things when I actually put the album together but these are the basics. 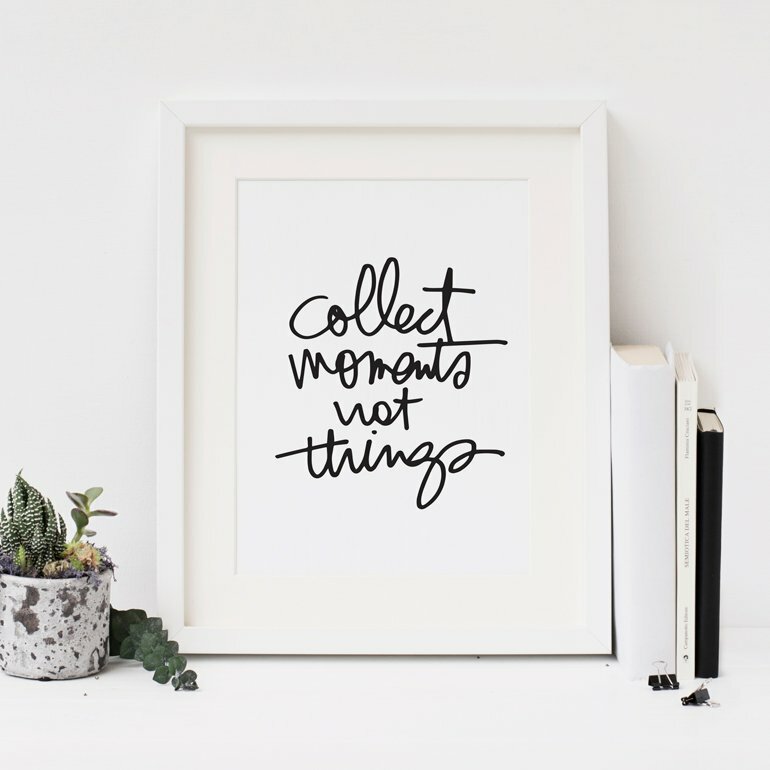 Elle’s Studio has just release some brand new items in their shop, including tags for summer, everyday, 2012 calendars and more! They even have some tags perfect for your “Project Life” albums and the upcoming “Week In the Life" project. This week only, use coupon code summer to receive free shipping on any order over $40 (offer includes international shipping and expires 07/18/2011). LOVE the templates and journaling cards you designed! The foundation plan looks way cool and got me so excited! Hooray, So happy to see this post today ... gotta say I love the Ubber cool design this year for 2011 !!! It's in my shopping cart @ DD ASAP. Ali, this looks great. I'm still debating, but am thinking I'm in this year for Week in the Life. Have lots of ideas in my head, little things that I'd like to capture about our everyday lives. So excited to work along side everyone for this project. Beautiful projects as always Ali. 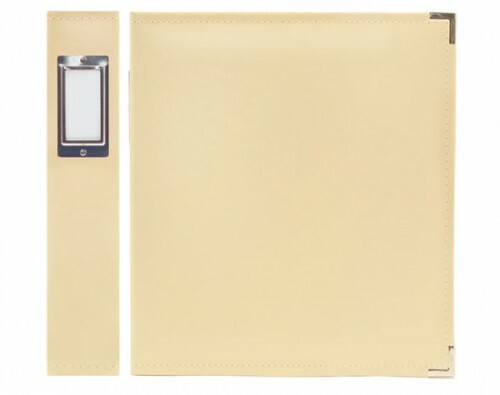 The possibilities for the journaling cards are endless. And Ormolu Designs... yummy and sitting on my desk waiting to be used. Can't wait. I think I'm going to try this. I like the idea of prepping all the items for use in advance, that way I might actually finish! I'm going to be organizing my craft studio today, so I'm thinking I'll make a pile of goodies to use and set it aside. 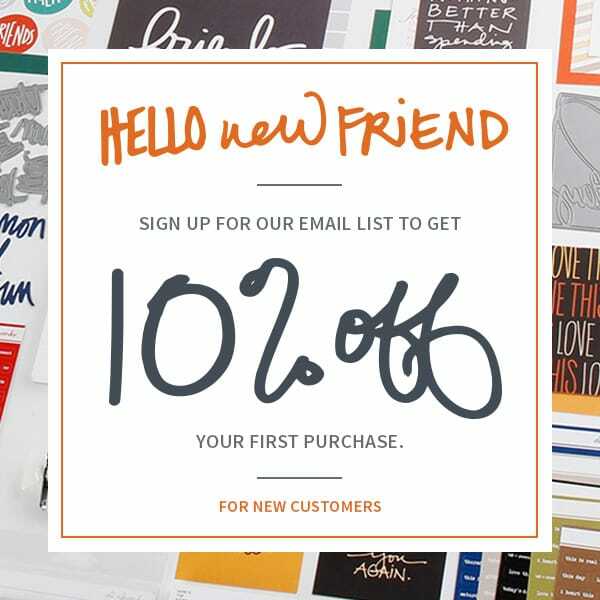 I really like your digital templates as well... the idea of printing photos on photopaper and then the rest on cardstock has me intrigued. I am so excited about this. I hope that we are able to do what we I am planning on doing which is stay in the city for next week as it will make for one SUPER DUPER Full week indeed no matter if it happens or not its another wonderful collection of memories! Can't wait. I cannot tell you how excited I am to see this post! I've never done A Week in the Life before and have been looking forward to it ever since I heard about it on the Roundtable. Gonna have to do some eShopping today! :) Thanks Ali! I feel like a kid; I have been waiting for this! this is going to be my first WITL and I am so pumped. Already ordered some supplies and will definitely be picking up the digital elements. I am super excited and definitely recovering from my surgery so it will be a huge go! This will be a family endeavour which is also so awesome. Woohoo! Hi Debra - I'll likely be doing some sort of video overview that includes a very basic how-to and tips for this particular set that would apply to both the 8.5x11 and 12x12 (the steps are the same regardless of the size). I am in! Love the design and have begun collecting the supplies. I can't wait to play along! Looks like fun, but the week you have chosen will not work for us. Can I change the dates on the digital files? Yes - they are not flattened layers - you can make them any date you want. Every year I get excited about doing "A Week in the Life of" with you and something always happens and I've never done it. So last month in June I was thinking I hoped to do it this year, but figured it wouldn't work out again. But, inspired by all your great posts about "Week in the Life of" for past years I just decided to start it that very day! So, I started June 11, 2011 and I actually completed my very first "Week in the Life of" and it was SO worth it! So encouragement to others, "Just DO It!" AWESOME!! Getting really excited about doing my first WEEK IN THE LIFE!!! Thanks for all of these posts Ali...it really helps out a newbie like me for this project! what a timely post ali! 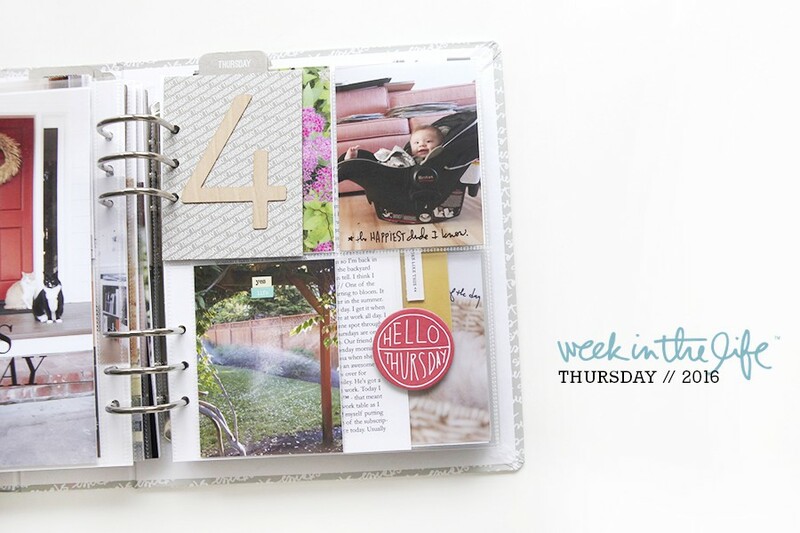 amber + i had a scrap day yesterday and we were chatting about week in the life. thinking about things we want to remember to document, thinking about how we want to do our albums this year. i'm looking forward to it! Yay! This is going to be fun! I only have one question, how many of the Hambly transparencies are you going to use? Just one - I want enough to have seven of the small card size. 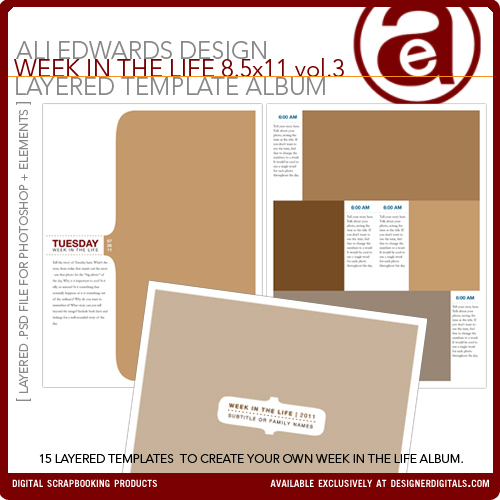 I am so excited I have sort of been doing some pre work in the project "week in Life"...I am not a digi scrapper yet played a little with it so I need study up more on digital scrapping ...I only have the trial photo shop so will that work for week in the life? I have my album already and did start planning layout and content but just not secure to digital scrapping? I suppose Just do It to get familiar is a way to learn??? I just have such of stash of supplies I would like to be able to incorporate??? Any suggestions Ali? Thanks for posting! I've been looking forward to this! My kids, especially my son, keep reminding me that "the week" is coming up. Doesn't hurt his birthday coincides with it ;) A great way to document his 9th! Wishing the best for Lily!